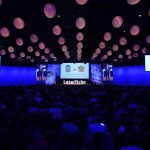 The Laserfiche Empower Conference is the largest training and networking event of its kind in the enterprise content management (ECM) industry. 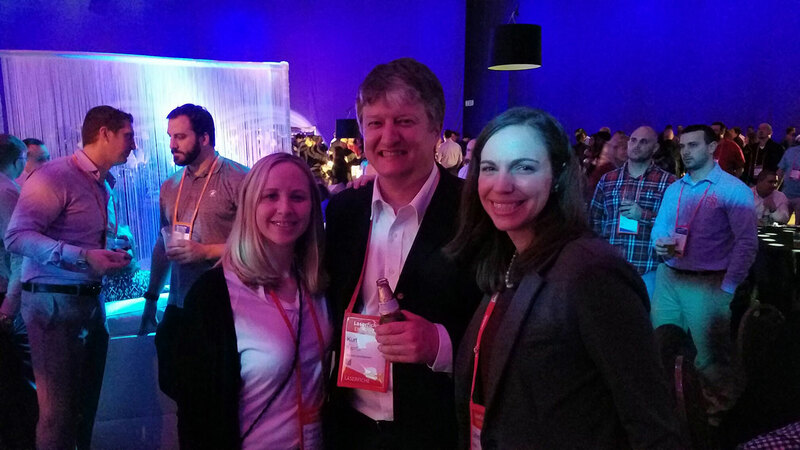 #LFEmpower 2017 took place Feb. 7-10 in Long Beach, CA. 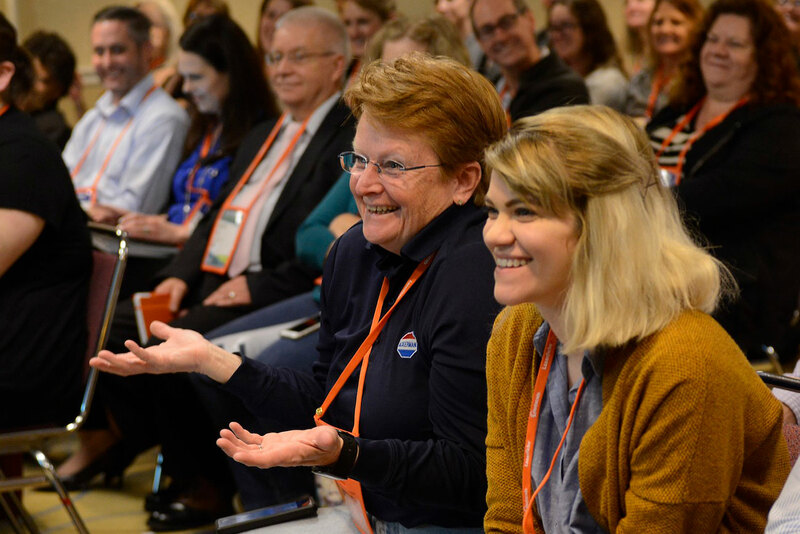 This year’s conference saw significant updates to Laserfiche technology, insightful speakers, and several landmark moments for Laserfiche enthusiasts. 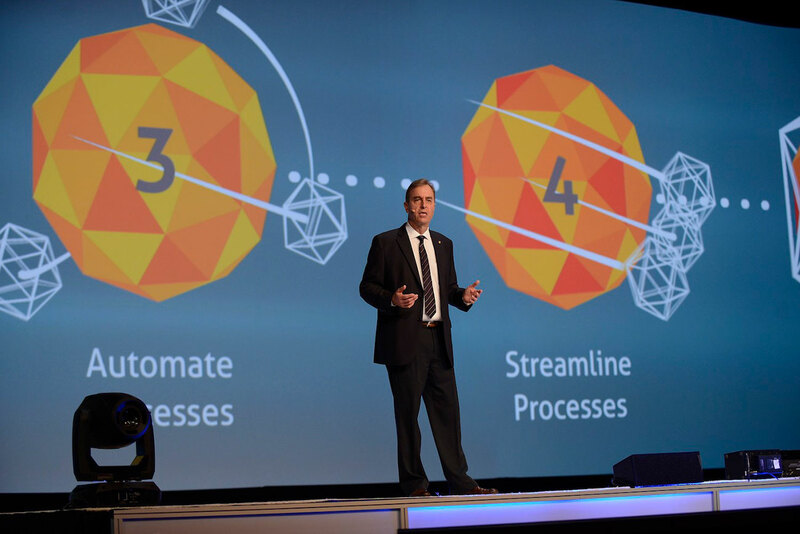 During the day one general session, Laserfiche CEO Chris Wacker and President/CTO Karl Chan introduced the Laserfiche Digital Transformation Model, a five-step journey that Laserfiche users follow on their path to developing a more productive, empowered organization. Laserfiche Product Managers and Software Engineers including Brian McKeever, Brandon Buccowich, Tessa Adair and Katie Gaston shared software functionality updates and new product releases in each phase of the Digital Transformation Model, including Forms dashboards, prescriptive analytics and the Business Continuity Service. 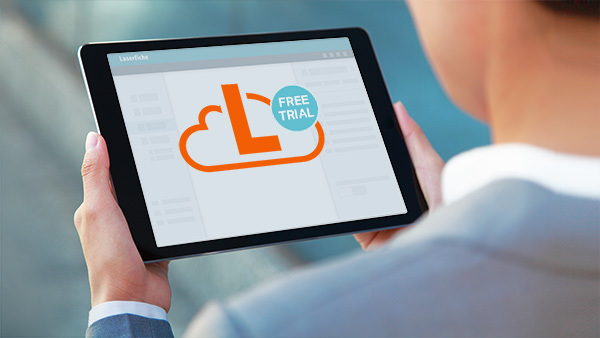 Get the full details on the Laserfiche Digital Transformation Model here. Laserfiche CEO Chris Wacker discussing the Laserfiche Digital Transformation Model at Empower 2017. On day two of Empower, attendees were treated to a keynote presentation from Karen Hobert, Research Director at Gartner’s Digital Workplace Content, Insights & Engagement team. Karen shared her predictions for content services in the enterprise and the evolving enterprise content management (ECM) market in 2017. Karen stressed that “in digital business transformation, enterprise content plays an integral role” elaborating on Gartner’s findings with current and predictive research statistics. Karen forecasted that vendors will be more focused on developing content services platforms in the future, enabling users to work across organizations to use, mobilize and process enterprise content in more integrated and seamless interfaces. 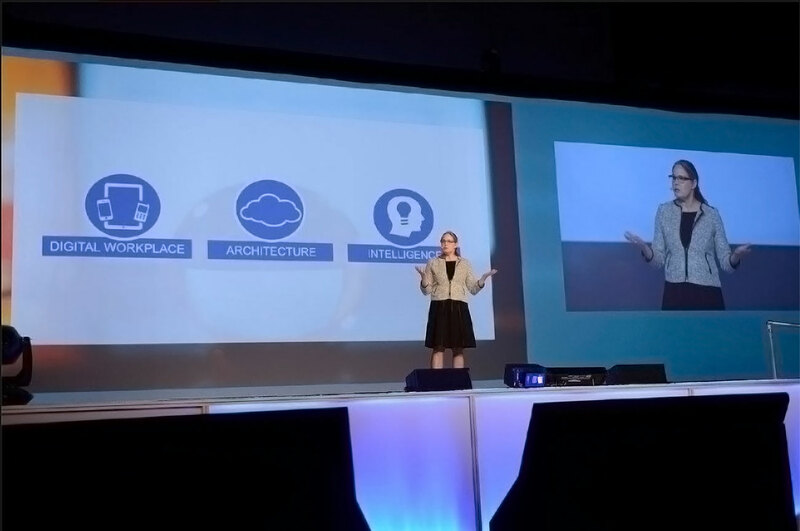 Karen also predicted a move in 2017 toward services-oriented, cloud-based content services and solutions that leverage machine learning and analytical capabilities; of which Laserfiche is developing in Phases 4 and 5 of the Laserfiche Digital Transformation Model. To extrapolate on her keynote discussion, Karen held a course on the future of Content Services at the Empower conference. Attendees joined a deeper discussion on the evolution of enterprise content strategies and technologies, and expressed their excitement on social media, in class surveys, and in the Empower App. Karen Hobert of Gartner, Inc. shares her ECM & content services predictions for 2017 onstage at Empower. Day 2 general session featured an exclusive customer panel discussion between executive Laserfiche users of varied industries who have made an impact in their organizations. Douglas Van Gelder of the Community Development Commission of Los Angeles County, David Humphrey of Intertrust Group, Ashwini Hassija of Molina Healthcare, and Kevin Bertram of Oakland County, MI joined moderator Thomas Phelps IV, CIO of Laserfiche, on the Empower stage for a conversation on their digital transformation journey using Laserfiche software and scaling up across the enterprise. Panelists shared their inspiring stories and offered insights on implementing Laserfiche projects, enabling organizational change and driving business results. The full video of the panel discussion is now available here. 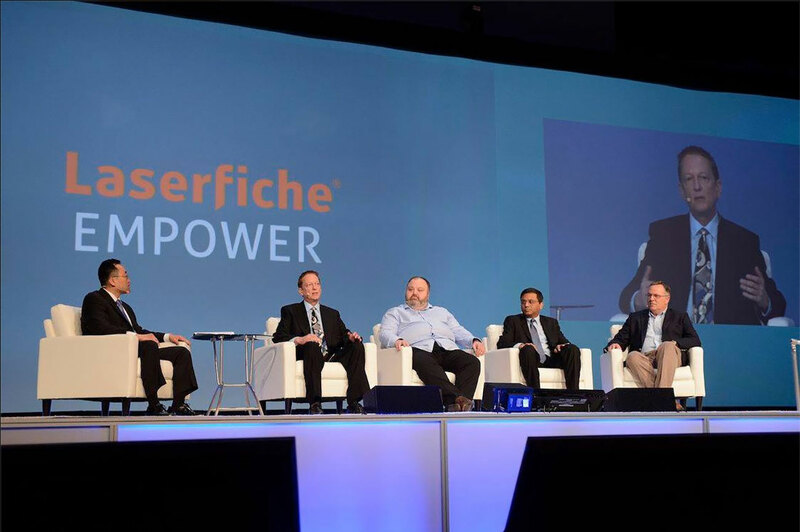 Executive Laserfiche users of varied industries serving as panelists during a special session on stage at Empower 2017. We had an incredible lineup of classes at Empower for all levels of Laserfiche users—recommendations for classes based on industry, Laserfiche experience level and job role were available to attendees. Empower 2017 featured customer-led courses, which allowed attendees to learn from the innovative Laserfiche solutions of other users, many of them Run Smarter Award winners such as Hitachi Capital Vehicle Solutions and Bonneville Joint School District 93. The conference also featured class sessions led by experts such as Melissa Webster of IDC, who spoke on ECM analytics and cognitive computing. Another exciting session was Government Technology’s Not Safe for Government Live Podcast Recording, in which a panel of government technology leaders including Dustin Haisler of e.Republic and Tim Nolan of Collin County, TX, discussed the latest in state and local government process automation and how to approach civic innovation with limited resources. The full podcast is available here, and will also be available for download via iTunes and Stitcher. Empower attendees enjoying a customer-led session with Sonya Finley of North County Transit District. Empower 2017 saw many opportunities to network with the Laserfiche community. User Groups were held for various regions and industries to develop productive relationships that last long after the conference has ended. We also introduced the Fish of the Same School concept: Special table arrangements during Empower lunches encouraged Laserfiche users in similar job roles to network and dine together. Attendees also took advantage of discounted local “watering holes”, including Rock Bottom Brewery in downtown Long Beach and the Cove Lounge at the Hyatt. We held several networking events throughout the conference as well, including the Empower Special Event, a party held just for Empower attendees complete with live music and a DJ. 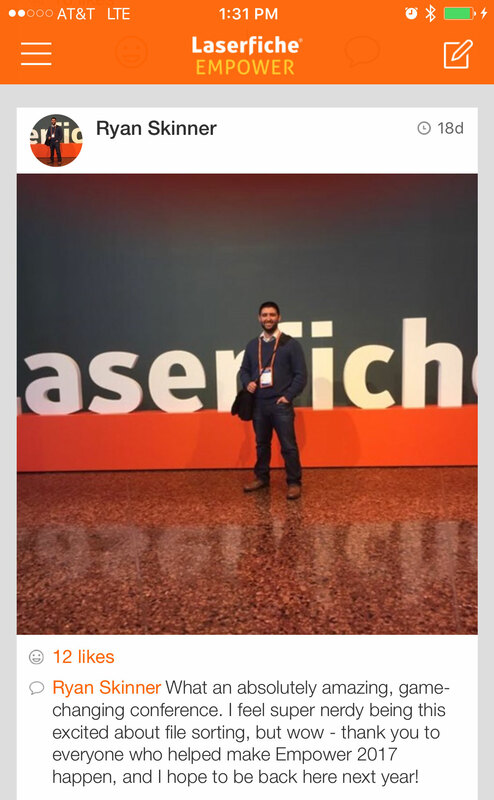 The exciting Laserfiche International reception gave users from around the world the chance to connect with fellow international #FicheFriends. #FicheFriends having a great time networking at the Empower 2017 Special Event. One of the most memorable parts of Empower 2017 was our dedicated social platform for conference attendees. The Empower App included a consistent social posting feed, in-app event updates, class surveys and agenda management functionality. 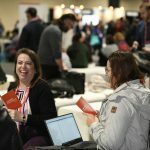 Attendees posted consistently before the event, during sessions, lunches, networking functions and after Empower 2017, and enjoyed contests and prizes as a result of their engagement. Empower attendees made the most of their experience by sharing updates and connecting with #FicheFriends on the empower App. Thanks to all attendees for making Empower 2017 a success! #LFEmpower 2018 is Jan. 9-12 in Long Beach, CA. For a limited time, users can take advantage of a special promotion: Register for Empower 2018 early for great savings, and bring a colleague to the conference for free!